Which photocopier brand is a better option for your office? If you had to choose a new printer for your office, would you know what to look for? Your workspace has it's own unique requirements while office printers have their own unique set of features. 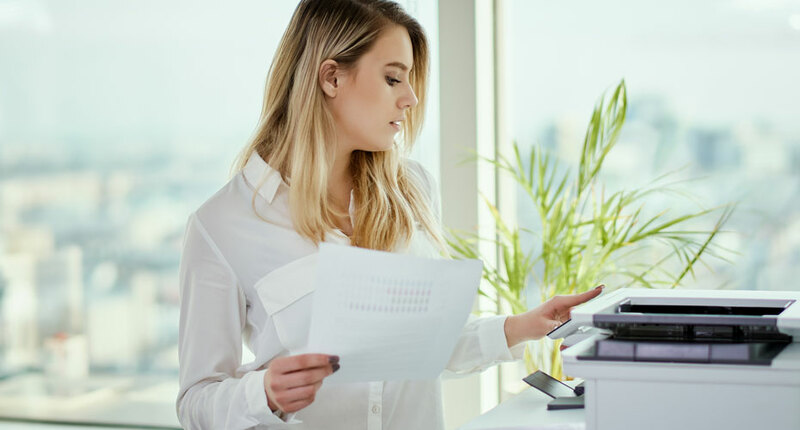 Picking a new office printer can be as simple as comparing the capabilities of a model with what needs to be done in the office. You may find that certain office printer brands have a reputation for their features such as cloud connectivity and high printer speeds. Does your office require a model that prints in both black and white, and colour? Do you need an office printer that can also scan, fax, and copy? These are just a couple of the questions you should be asking yourself when choosing a new office printer. Some brands may promise you features like high print speeds, lower running costs, and smart device connectivity. With so many different options to choose from, you'll have to make comparisons between brands before you decide which office printer perfect for your workplace. Canon and Toshiba are two of the leading brands of office printers available today. Running costs for an office printer should heavily influence your decision on which model you need. A printer that isn't designed for heavy use may require ongoing maintenance. If your new office printer requires a regular service, it can end up costing your office more than what you have originally budgeted for. With high-speed printing, scanning, and copy capabilities, Toshiba models are built to perform a wide variety of tasks at high volumes. Toshiba models are more resilient to everyday office use and therefore less likely to break down on you. If your Toshiba printer doesn't require regular visits from a repairer, it will save your office money on running costs. The printer's user interface is another important detail to consider for running costs. Toshiba office printers are notoriously easy to use. You may be surprised to find out just how many office printers break down simply because they were used incorrectly. Breakdowns from misuse can be costly for your office. A Canon office printer may be the perfect solution for lower running costs. Canon models are renown for being strong performers in the A4 print category and cheaper to run than most laser printers. So if your office only requires a small desktop model with low print volumes, a canon office printer may be the better option. Your office will save money on running costs by using an office printer with fewer features. Simpler desktop models are lower in price and therefore cheaper to rent. With a simpler design there are less moving parts and therefore less chance of the model breaking down and requiring maintenance. When you're choosing a printer based on running costs, think of your office's intended usage. Does your office need to reproduce prints in multiple sizes including A3 and A4? If your answer is no, then a smaller desktop printer would be more suitable. There's no need to pay higher running costs for an office printer if you're not taking advantage of its full potential. Consider how reliable your new office printer needs to be for your workplace. Do you really want to be stuck with a model that requires constant repairs? When an office printer breaks down, it can dramatically affect workflow and cause unwanted interruptions. The extra cost of repairs can also put an unwanted strain on the repairs of your office printer budget. Toshiba printers are built for toughness and reliability. Thanks to their high printing capacity, Toshiba office printers can withstand heavy usage, day in, day out. If your Toshiba printer is used correctly, it's unlikely for it to break down. Follow correct user guidelines and don't forget to schedule regular maintenance visits from a repair specialist. Canon office printers can also make a reliable addition to your workspace. Just ensure that your Canon model is used correctly. Canon printers generally excel at printing smaller page sizes at lower speeds of 20-60 pages per minute. If you constantly try to push the limits of its printing capacity, it's likely your Canon printer will break down. Your office's intended usage plays a big part in this choice. Both Toshiba and Canon office printers can be a reliable option. For heavy, everyday usage, a Toshiba office printer is likely to be more reliable. If your office only requires a printer that gets used on a regular basis, choose a Canon. No matter which model or brand you choose, you can have confidence knowing Copysonic is available for support. Our team of experienced repairers are very knowledgeable when it comes to Toshiba and Canon office printers. No matter what level of usage or list of features your office requires, the team at Copysonic can help you make an informed decision. All office printers from Copysonic come with a 12 month warranty on parts, maintenance, and toner. Toshiba and Canon office printers can also be covered for life with extended warranty options. Still can't decide on which office printer brand your office needs? Enquire online or call [phone] for expert advice.